The Jetpack plugin is a powerful plugin that adds several different features and tools to your blog. Jetpack requires you to have a WordPress.com user account in order to use all of the features. Publicize Makes it easy to share your posts on social networks automatically when you publish a new post. Learn more. Post by email Allow you to publish post on your blog by email. Learn more. Carousel Transforms any photo gallery you’ve embedded in a post or page into a full screen photo browsing feature with comments and EXIF metadata. Learn more. Sharing Enables you to add sharing buttons to your posts so that your readers can easily share your content on Twitter, Facebook and other social networks. Learn more. Related Posts Displays related posts at the bottom of your posts. Learn more. Custom Content Types Custom content types (also known as custom post types) are a way of handle content that you mightn’t necessarily want to add to standard Posts or Pages. Learn more. Spelling and Grammar Can be set to force you to check grammar and spelling before publishing a new post. Learn More. Tiled Galleries Extend the type of image galleries you insert into posts and pages from the default thumbnail grid image gallery to include tiled mosaic, square mosaic or circular grid image galleries. Learn more. WP.me Shortlinks Create short, simple links so you have more characters to write when sharing links on your social networks. Learn more. Widget Visibility Control which pages widgets appear on. Learn more. Slideshows Enables you to insert slideshows into posts and pages. Learn more. Extra Sidebar Widgets Easily add galleries, slideshows, Facebook like and RSS links to your sidebar. Learn more. Enhanced Distribution Enhanced distribution is automatically enabled when you connect Jetpack with your WordPress.com account. It allows your public posts and comments to be included in WordPress,com firehose. 2. Click Activate on the Jetpack by WordPress.com plugin. Click “Set up Jetpack button” again if you see “cURL error 28: Operation timed out after 5001 milliseconds with 0 bytes received” error message. It happens if the WordPress.com server takes too long to respond. 5. 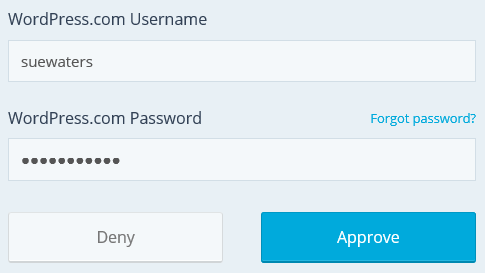 Add your WordPress.com username and password then click Approve. 6. Click on Start with Free. Don’t sign up for a Paid Jetpack plan. Our customized version of Jetpack doesn’t include many of the paid features. 7. This redirects back to Jetpack > Dashboard in your site dashboard. 8. Click on Activate Recommended Features to activate important Jetpack modules. Jump start your Jetpack activates the most popular modules with one click. It still allows you to activate and deactivate other modules but is a great start point to get started using Jetpack. Tiled Galleries Loads images from WordPress.com CDN and activates Tiled Galleries. Tiled galleries extend the type of image galleries you insert into posts and pages from the default thumbnail grid image gallery to include tiled mosaic, square mosaic or circular grid image galleries. Learn more. 2. Click Activate below the Jetpack by WordPress.com plugin. 5. Click on Need an Account? 6. Add your email address, username and password then click Create My Account. 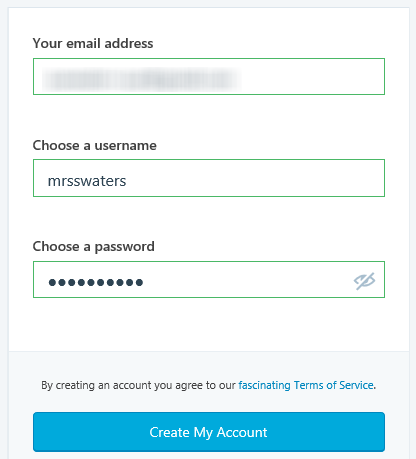 Make sure you use a valid email address because you need to click on Activate account in the WordPress.com registration email. 7. Log into your email account and click Confirm Now in the WordPress.com registration email. You must be logged into your Edublogs or CampusPress account in the same web browser as your email inbox when you click on the link otherwise it won’t automatically redirect to the Jetpack connection page. This saves your WordPress login details to your site and allows you to use the Jetpack features. 9. 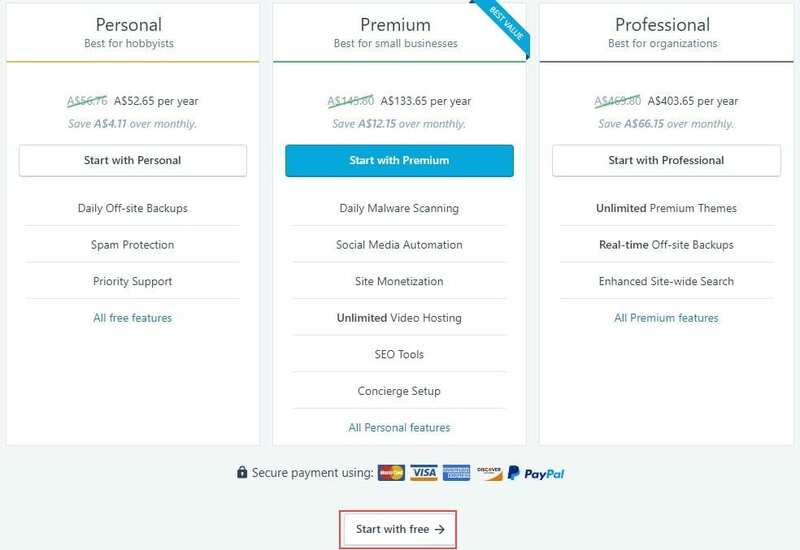 Click on Start with Free. 10. You are redirected back to Jetpack > Dashboard. 11. Click on Activate Recommended Features to activate important Jetpack modules. Photon Loads images from WordPress.com CDN and activates Tiled Galleries. Tiled galleries extend the type of image galleries you insert into posts and pages from the default thumbnail grid image gallery to include tiled mosaic, square mosaic or circular grid image galleries. Learn more. After connecting to your WordPress.com account, many of the Jetpack features are automatically activated. or can be found by using search in Jetpack > Settings. Modules like Extra sidebar widgets and widget visibility have an Activate button which you use to activate the module. On these modules the Activate button disappears once activate.